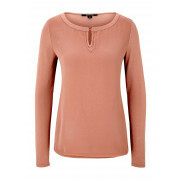 Update your daytime wardrobe with this charming rust top from Comma which would look lovely worn with trousers or a skirt for the office or team with jeans at the weekend. Made from soft jersey fabric with a lightweight chiffon panel on the front. 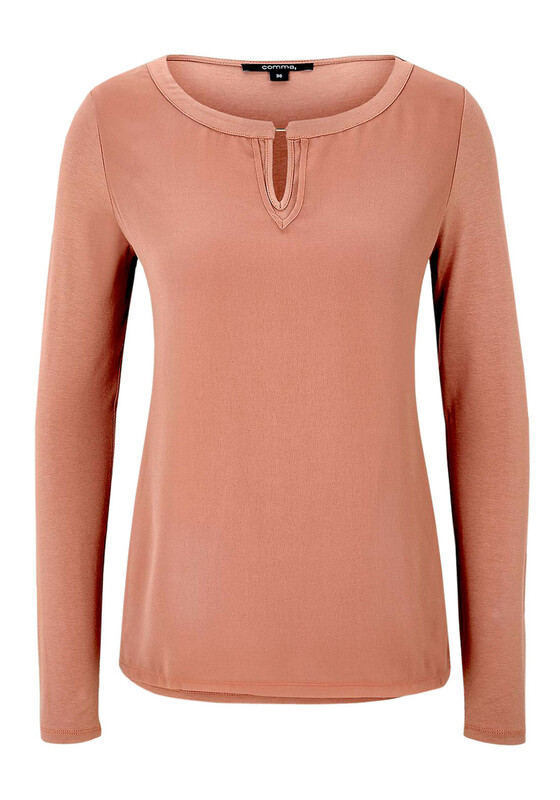 Styled with a lightly flowing shape and featuring a keyhole cut out at the round neckline.